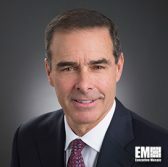 ExecutiveBiz spoke recently with George Krivo, chief executive officer of DynCorp International, regarding the company’s strong 2018 financial performance, upcoming initiatives and growth prospects in 2019. 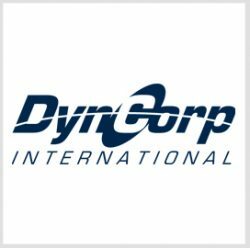 ExecutiveBiz: 2017 was a very successful year for DynCorp. How did you capitalize on the market in 2018 to continue your financial success? Krivo: “We had an even stronger year in 2018. We were able to win new business, which means taking it away from our competitors in the market. We also improved our efficiency through productivity, expansion and extension. We focus on three goals. The first one is making our numbers. Everyone understands what the expectations are, and they look to expand our offerings and optimize performance. The second is to ensure that not only are we meeting all of our financial commitments but also delighting our customers and obtaining appropriate feedback through outstanding performance ratings. The third goal is to maintain the highest standards of professional conduct. ExecutiveBiz: You said DynCorp was exploring M&A opportunities to scale up business. What new contracts and initiatives are you most excited about in 2019? Krivo: “In the coming months, a couple of major awards will set the conditions for our segment of the industrial base. The U.S. Army intends to make a 10-year award on LOGCAP V that will determine the winners and losers for a decade in contingency logistics. ExecutiveBiz: What do you believe DynCorp will look like in the next 12 to 24 months? Krivo: “In order to understand what we think the company will look like, you need to understand the future market space. The first thing we want to do is protect our core. We’ve continued to register five to 10 percent organic growth over the past couple of years. We expect to continue that trend and continue to grow. We believe that our industry will be in the middle of market consolidation that occurs as the race to scale continues in defense services. I think we’re going to be a major player in that consolidation, especially after the LOGCAP and AFM awards. Additionally, you’ll see more of our revenue from our IT services and intelligence businesses which remain the fastest growing segments of our company. Executive Spotlight: Interview with Mark Sopp, EVP and CFO of KBR, Inc.